2.96 MB, 1920x1080px, 7.1 secs. 39.5 MB, 1920x1080px, 7 secs. 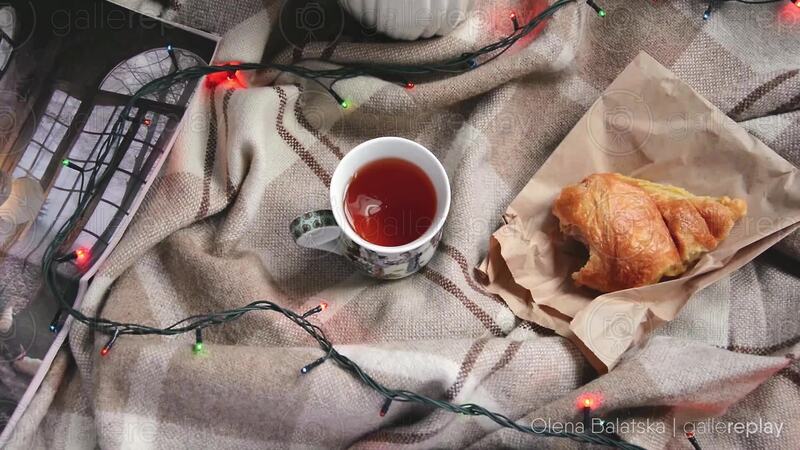 Top down shot of a swirling cup of tea, a partially eaten croissant, and Christmas lights.